Even though it may not cross your mind very often, but the exhaust system in your Nissan is very important. For that reason, should problems arise in your exhaust system, it’s important that it be fixed quickly. Here at Speedcraft Nissan, our expertly-trained staff is committed to work with you and keep your vehicle running in top shape. With Speedcraft, you’ll not only get a speedy repair, but one you can depend on, too. When it comes to exhaust and muffler care, you can rest easy knowing that only the highest quality service and factory Nissan parts are going into your vehicle. 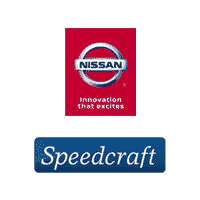 If you’re in the Providence-area and are in need of help with your vehicle, contact us here at Speedcraft Nissan! The exhaust system in your Nissan works to remove the toxic exhaust fumes from your engine, including, keep them out of your vehicle’s cabin. If you notice the smell of exhaust inside your cabin or smell any fumes coming from your car, this is a sign that your exhaust system needs to be checked out. Another sign that you’re in need of a service is hearing unusual noises. This includes an increase in your car’s volume, which indicates a problem with your muffler. If you notice your vehicle becoming particularly loud, we recommend bringing it in for a checkup.